But just before you click “Send”, you get cold feet. Are you missing something? Does this email have everything it needs to make it work? And a good one. You want to keep your Sender name consistent. And, due to changes with the major email services, you’re going to need a sender address that’s not from a free email account (like Yahoo.com or Gmail.com). That means you’ll need to get your own domain, and have an email account set up in association with it so you can send emails from yourname@yourawesomeURL.com. It’s just a bit of a tease to make people wonder what the email is about, but not so much that they don’t know what you’re talking about. It’s the right length – not so long it’ll get cut off in the inbox, but not so short that you’re hurting your message. Some sources recommend email subject line lengths of about 61-70 characters long, but your results may vary. Got some budget? 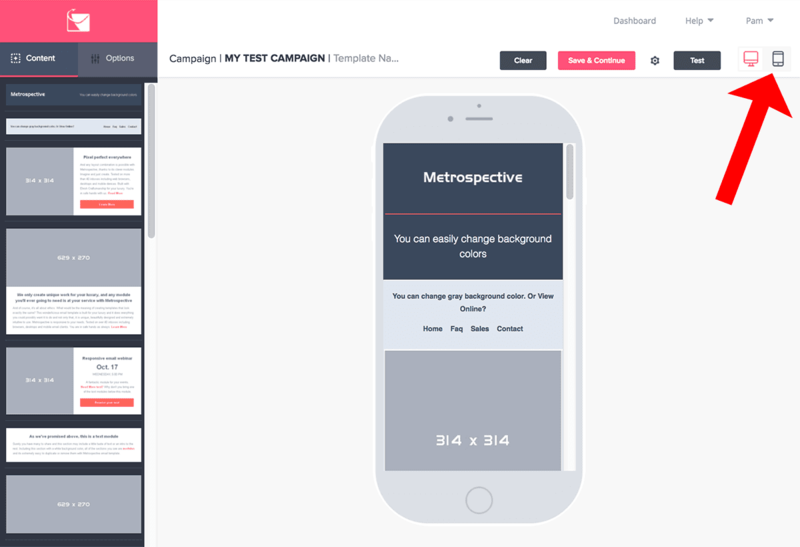 Consider using Touchstone (https://www.touchstonetests.io/). It’s a subject line testing tool that scores your subject line based on the results of 21 billion email marketing messages. It might be personalized (but doesn’t have to be). It will usually have a verb. Some of the greatest email subject lines are almost like calls to action in disguise. Caption: Sendlane makes it easy to personalize your subject lines, and not just with first names. The interface also tells you how many characters you’ve got left, and gives you some quick copywriting tips. Okay… kinda cheating here. This is more of an attribute than a thing, but it’s so important I just had to include it. More emails are opened on mobile devices now than on desktops. That means making your emails look good on mobile devices is essential. So test how your email looks on a mobile device before you send it. And when you’re editing your email, keep checking how it will look on mobile devices with the Sendlane email preview tool. There’s a reason why you’re sending this email, right? You want people to do something with it – for them to take some specific action. That’s your message’s call to action. It’s the moment where you urge them to do something – even if it’s just to click through to read an article or to buy a product. Your call to action is super important. Every word of it is precious. So don’t rush it.Bring your best copywriting skills to the challenge. I know… not the most compelling part of your email. But important nonetheless. Your footer must have your company’s mailing address in it, for starters – it’s part of the CANSPAM law. And by that same law, you’re supposed to have an unsubscribe link (and not try to hide it, either). 7) Social sharing buttons, and a call to forward the email. I’m lumping these together because they’re both meant to do the same thing: Get people to share your email. And don’t underestimate how often people forward emails. They are actually more likely to share that way than via social. Well, yes, you could – and should – have both of those in your email. You could and should have a headline, too. But you don’t actually have to. 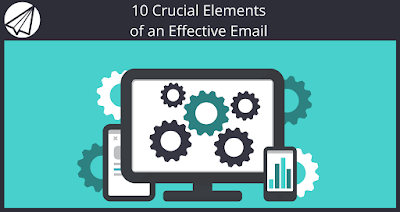 If we had to strip your email message down to the raw essentials, those eight elements would cover it. This is mostly because that call to action can do so much heavy lifting. Sure, it’s good and normal to have a headline, some email copy, and maybe an image. But you could skip all that and just use the subject line to do some pre-selling, then hit them directly with a big ole call to action. It wouldn’t work too well for an email newsletter, perhaps. But for a sales email or a webinar sign-up, you might get away with it. Especially if that call to action brought people to a landing page that gave them all the additional information they needed. In fact, some ace email copywriters maintain that the whole point of the email is just to get people to the landing page. Our slimmed-down email message could do just that. But let’s look deeper at what we’re asking that call-to-action to do. It’s so important, there are three more elements we could add as essential to a successful email message. There’s a reason countdown timers work so well in email messages. And why gurus close the doors to their training programs with so much hoopla about how many hours we have left to get in. Urgency works. Let’s face it – our subscribers are crazy busy. If something doesn’t need to be done now, well, then they’ve got other things to do. So adding a bit of urgency to spur some action definitely can’t hurt. How relevant is your email to your subscriber? To each and every one? If it’s not a fit, don’t expect terrific results. Relevancy is exactly why segmenting an email list can be so successful. It’s also why personalization works. This applies to any marketing message, but it certainly applies to emails, too. It’s a golden rule of copywriting (and of marketing and sales): Never, ever confuse your buyer. Confused buyers don’t take action. So if you have to hold off on your email for a few hours while you simplify your message, do it. Most of your subscribers won’t spend more than 10-15 seconds with your email (max). So if they don’t get the point – and why they gotta do what you want them to do – you’re sunk. Now that you know the keys to writing an effective email, make sure to sign up for your free trial of Sendlane. You can get started today putting all of this information into action and building your business. Are we missing as essential parts of an email message? Is there something you’d never send an email message without? Leave a comment and tell us what it is. Also, we appreciate you sharing this post on all of your social media sites. If you found this post helpful, chances are your friends will also! Use the “share” buttons at the top of this post to help us reach more email marketers.